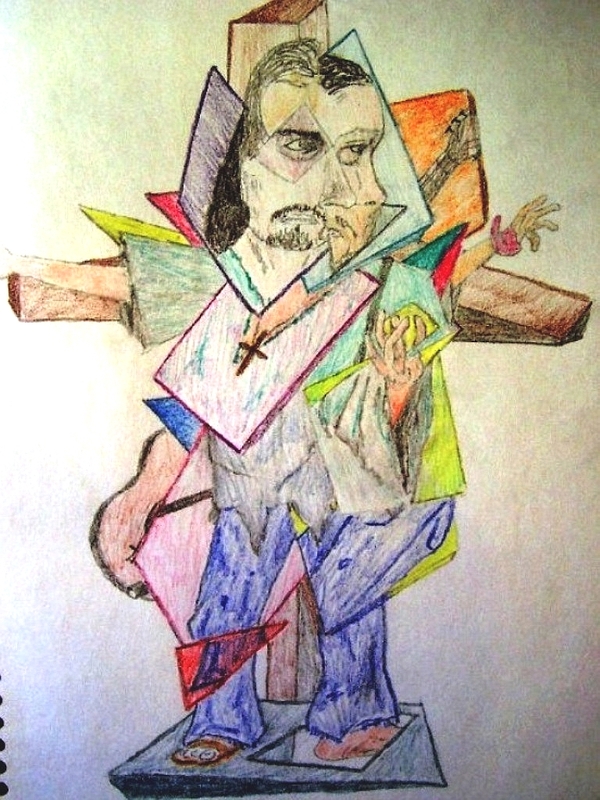 This "cubist" piece was inspired by a layout in a Prague Newspaper, which asked the question "What if Jesus had lived in the 1970s?". The popular Czech actor Pavel Liska portrayed Jesus, wearing bell-bottoms. I added a guitar to his back, and he's pictured before a cross.